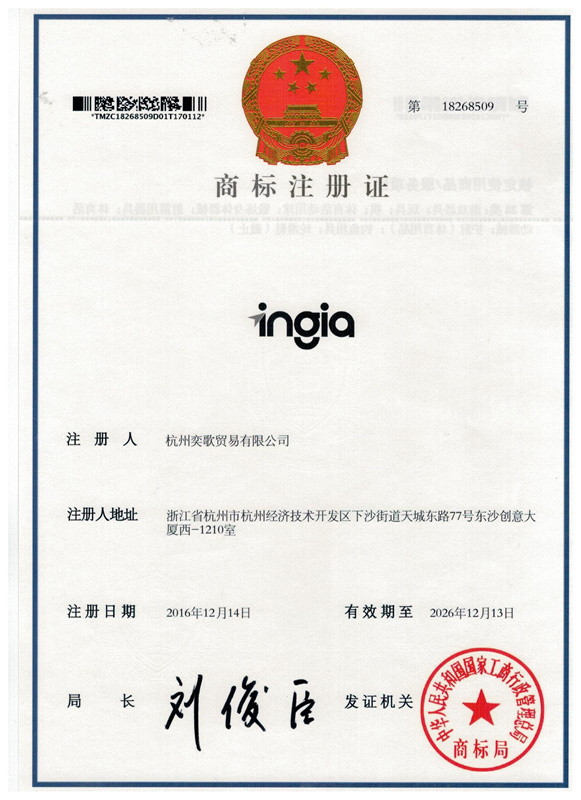 Company Overview - Hangzhou Yige Trade Co., Ltd.
4YRSHangzhou Yige Trade Co., Ltd.
Hangzhou Yige Trade Co., Ltd as Wuyi Bonzen Fitness Equipment Co., Ltd. subsidiary company has the advantage of huge market, good reputation and excellent service. Our products are well sold in Europe, America, Southeast Asia and other 30 countries and regions with the praise of customers and these provide a more powerful protection for Bonzen's import and export trade.Wuyi Bonzen Fitness Equipment is a subsidiary company of Zhejiang Hotai Machinery Manufacturing Co., Ltd. whihc is a professional manufacturer and exporter of exercise and fitness products, home gym, body buliding equipments. Most our products export to America, Europe, Oceania, South-East and Mild-East countries for TV Shopping, Supermarkets, Chain-Stores and Online Sales. Our Head Office was established in 1987, located in Zhejiang Provice and are adjacent to Yiwu City, Shanghai Air Port and Ningbo Sea Port. The total assets are currently valued at USD420.000.000 and whole factory covers an area of 170,000 square meters. We are also honored as "top taxpayer" and "top hundred companies" by municipality for consecutive years. We have established a quality management system according to ISO 9001:2008, and now have 150 workers and 4 advanced production lines, can reach an annual output capacity of 300,000 sets and annual turnovers reach to USD20,000,000. Relaying on advanced production facilities and excellent managing system,we now has developed more than 50 kinds of products for Arm, Abdominal, Waist, Leg Exercise and body shapping which are all popular products for TV Shopping and Supermarket, and most of the products respectively passed CE, EN 957, GS certificate. Owing to the high quality, standard management, reasonable price and superb after-sales service, we have gained the trust and good reputation from our clients. You are welcome to visit us at our webpage, choose your interested products and we will offer you our best price and high quality products. Please contact us for further details and we will be happy to answer any questions you may have.